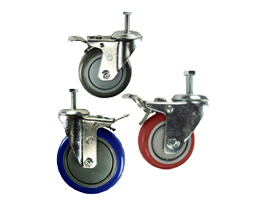 Threaded stem casters for all applications, including dollies, racks, and carts. 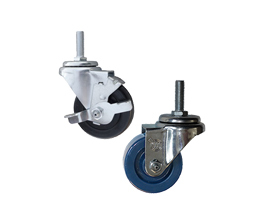 Threaded stem casters can be installed by threading into the application or secured with a nut. Standard caster stem threads in our light industrial style include 3/8" diameter 16TPI, and 1/2" diameter 13TPI in 1-1/2" long. Choose from a large selection of in stock models with the wheels you need. 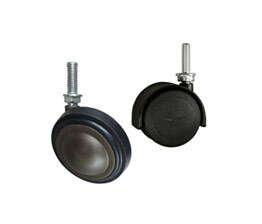 Selections for OEM and replacement metric threaded caster stems are available in 10mm and 12mm diameters. Most models in stock and ready to ship within 24 hours. 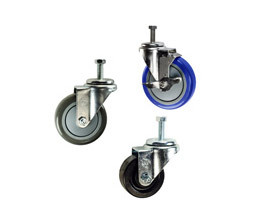 We also have a large selection of threaded furniture casters. For other stem sizes and options call 1-800-215-8220 for assistance from our expert on location sales staff.